Optical splitter, known as a beam splitter, is based on a quartz substrate of an integrated waveguide optical power distribution device, similar to a coaxial cable transmission system. 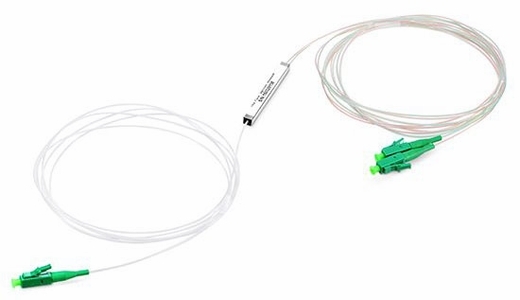 As an important component in passive optical networks, optical splitter is also called passive optical splitter or PON splitter, which is used to split the fiber optic light evenly into several parts at a certain ratio. Optical splitters are manufactured commonly in two types according to working principle - FBT (Fused Biconical Taper) splitter and PLC (Planar Lightwave Circuit) splitter. Each type has its own performances.